We all need exercise to stay healthy, no matter what the weather forecast says, especially dogs! Here’s some indoor games you can play to get your pooch off the couch, get moving, and to keep him from being bored on dreary days. This game may start with teaching your dog how to sit and stay. Start by having him sit and stay while you place a favorite toy (squeaky ones are a favorite in our house) where he can see it, but away from him (like across the room). Use your release word (ours is “OK”) and let him go fetch the toy, making sure to allow enough time to celebrate the reward of waiting patiently, by dancing around with his toy in his mouth. You can make this game more and more complicated, incrementally, by moving further and further away with the toy, around a corner, to another room, up a flight of stairs and eventually by hiding the toy in places where your dog could eventually find it. When hiding the toy, think about a child’s Easter egg hunt. Don’t make it too hard, you do want your dog to be successful, eventually! There are many variations on this game. With two people, you can simply toss a toy or ball back and forth to each other, letting your dog chase it in each direction. We’ve even gone as far as to use tennis rackets and a tennis ball in the garage, for greater distance. Be sure to “accidentally” drop the ball once in a while, to keep your dog a part of the game. You can get very creative at home with simple props, like a hula hoop. Start by using a piece of kibble to coax your dog to walk through the hoop, as it rests on the floor. Once your dog is used to walking through the hoop on ground level, lift it off the ground one inch at time. By the end of a very rainy week, you might have your pal leaping through the hoop a couple of feet off the ground! There are many treat-dispensing and puzzle toys on the market for dogs now. These toys are mentally challenging, requiring your dogs to ‘figure out’ how to get the treat out from it’s hiding spot. Look for sturdy toys that will withstand heavy chewing. A hallway with doors closed makes for a perfect runway for a game of fetch. A straight stairwell does, too. Use a plush ball or toy to avoid the ball going in all directions and to get the most distance out of running to fetch. Mental exercise, as well as physical exercise, is an important part of your dog’s health. It’s fun, relieves boredom, and can be extremely bonding for the both of you! Your dog is your furry best friend, though he isn’t always on his best behavior. Don’t let your dog develop bad habits that leave you in a state of frustration — instead, utilize techniques and tools to ensure good behavior. With these gadgets and tactics, and a lot of consistency on your part, your pup can learn how to behave. Dogs are smart and can easily pick up obedient habits, if they’re trained correctly. The earliest time to begin training is around four months — the older your dog is, the more difficult it will be to train them. You can teach your dog simple commands like “sit” and “lie down” if you model them yourself. First, say the one-word command, demonstrate the desired action and then give praise once the action is performed. The tone of your voice is something you should pay attention to; it is more important and effective than the specific words you use. When your dog has picked up the desired action and performs it well, make sure you reinforce their good behavior with a treat. Food is an excellent form of positive reinforcement when you begin the initial training, though eventually your dog should be weaned off the constant reward of treats. If your dog tends to destroy items in your home or get into trouble when you’re away, there are simple measures you can take to stop this behavior. Interactive toys are a useful tool that will keep your pup entertained and reduce the likelihood of inappropriate behavior. Choose different kinds of toys that are engaging, like plush toys, squeaky toys, ropes, rubber bones and dog puzzles. 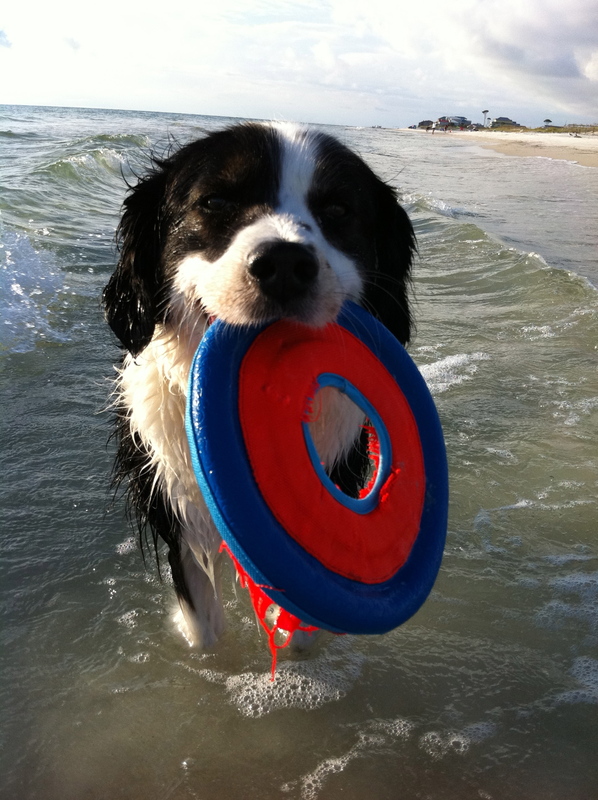 Try out a variety of different toys, so you can find one works best for your dog. Another interactive toy is a dog bone or stick that your dog can gnaw on for hours on end. Choose a chew or bone that is specifically meant for hours of gnawing, so your dog doesn’t end up with any bone shards cutting his mouth. Only Natural Pet has a variety of bones and bully sticks to help keep your dog out of trouble. 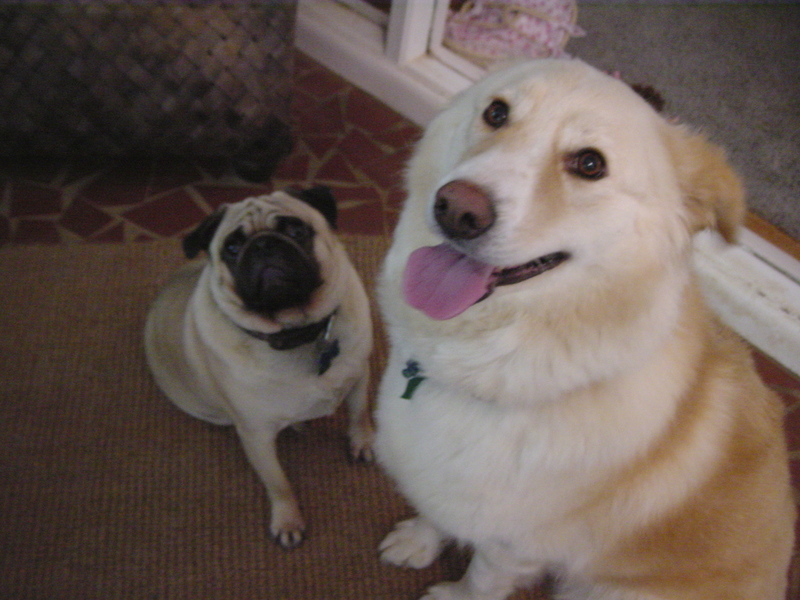 Many dogs have separation anxiety when you are gone for extended periods, which results in bad behavior. You can keep an eye on Fido when you’re out of the house with a home camera security system. Install cameras around the exterior and interior of your house so you can check in on your dog and catch any inappropriate behavior. Lorex has top-quality HD security camera systems for reasonable prices to help you stay connected with your pup. Access live footage from your phone. Lorex also carries some products with two-way audio so you can give your dog commands from wherever you are. 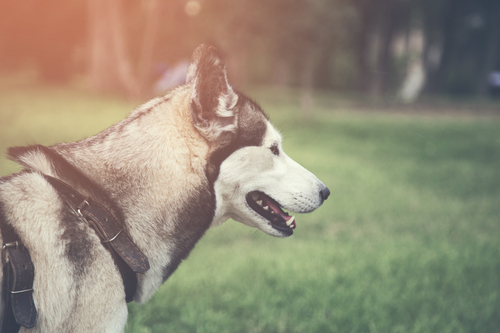 If your dog has a proclivity to run away, he is at a greater risk of physical harm. Correct this unsafe misbehavior with an invisible fence to keep him in your yard. 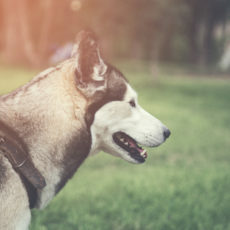 You can set boundaries around your yard with the invisible fence posts and have your dog wear a special collar with a receiver to keep him within the boundaries. When your dogâ€™s collar receiver crosses into the signal field, he will be warned with an audible tone, then there will be a gentle static correction that reminds him he’s passed the limits of his boundaries. You can adjust the correction level so it is safe for your pet, depending on his size. Many dogs endure separation anxiety whenever their person leaves the house without them. That anxiety can manifest in shredded furniture, neighbors complaining about barking or howling and daring escape attempts. The worst part for any dog lover is knowing that these behaviors can arise from canine stress and unhappiness. 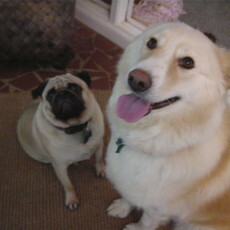 Dogs are pack animals and you are pack leader, so it should be no surprise if your absence is difficult for your dog. Severe cases may call for a visit to the veterinarian to determine the nature of the distress and address it. But if your dog’s separation anxiety is mild, there are a number of ways to help him stay calm and happy. Try breaking up your own routine to downplay the significance of your departure and return. Behaviorists note that dogs sometimes interpret dramatic human goodbyes and greetings as a sign that being separated is a big deal. Some dogs become anxious if they hear their person jangle keys or see them putting on shoes. Your dog has a better chance of staying calm if you do. A recent study from Scottish SPCA and the University of Glasgow supported the idea that classical music can calm dogs. You can even get music compilations that are specifically geared toward canine calming. However, the same study showed that other types of music had the opposite effect. The Humane Society reports that radio, TV, static or white noise is unlikely to help. 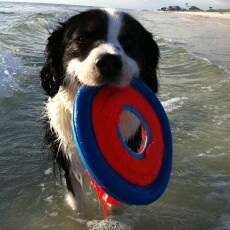 If your dog loves to fetch, you can entertain him with a product like iFetch, an automated ball launcher. Physical activity is an antidote to anxious behaviors. WiFi security cameras can keep you connected to your home no matter where you are. These cameras not only allow for two-way audio communication, but also enable you to view your home remotely from your smartphone to check on your dog. Watching your dog’s behavior remotely can also help you determine what works best for keeping your dog calm. 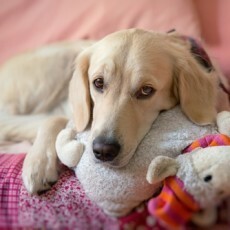 Toys can keep your dog occupied and interested — a bored dog is more prone to anxiety and restlessness. Kong toys are durable and popular. If you stuff a Kong toy and give it to your dog as you leave, your dog may come to equate your departure with pleasure instead of anxiety. Besides a Kong, there are many other interactive dog puzzle toys that utilize tempting treats as motivation to keep your dog engaged in “solving” the puzzle. Anything that keeps your dog’s energy focused away from destructive behaviors is going to be a helpful part of reducing anxiety. This isn’t an option for everyone, but if you can why wouldn’t you? A recent study from Virginia Commonwealth University showed that having dogs at work reduces human work-related stress. Dog-appeasing pheromones (DAP) have been shown to reduce anxiety in some scientific studies. Products like a diffuser such as Comfort Zone with Adaptil can help dogs feel safe by mimicking natural pheromones. Talking to your dog’s veterinarian is always a good idea when dealing with new or worsening behavior issues. Sometimes behaviors indicate an unexpected underlying medical condition that needs attention. 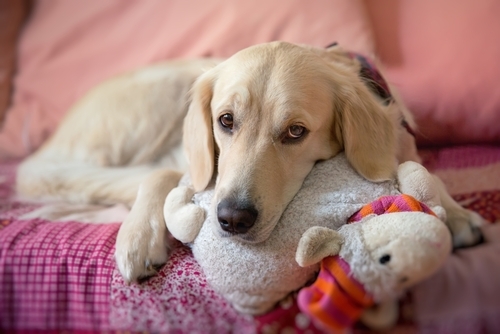 Severe separation anxiety may require medication or help from a canine behavior specialist. Ever walk through the aisle at a pet store wondering what type of collar I should get for my dog? Well… it all depends on what you are trying to do. Our friends at Petco created the below infographic to help make your decision. We all love the furry additions to our family, but sometimes they can be a real pain. Between fur on the rugs, scratch marks on the new upholstery and cushions that smell like pee, decorating your home can be a challenge. 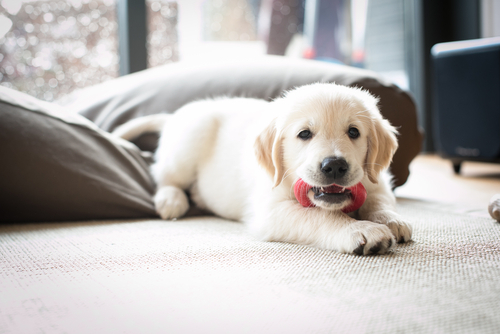 Below are a few tips to keep your furniture and household accents pet-proof so you can enjoy your furry friends. If you don’t want a pet in a room at all, use a pet or baby gate, closed door or latch to prevent them from entering. This will not only keep your pets from ruining furniture in a specific room, but could prevent accidental injury from falling off beds, sofas or other high furniture. Establish boundaries early so that you can have an obedient and well-trained furry pal for life! Want to know why your pets want to get on the furniture? It’s so darn comfortable! Consider purchasing a spray repellent to deter dogs and cats from jumping on the couch or a Sofa ScramTM Sonic Mat, which is a pad with a noisy alarm that trains your pet to stay off. If you want a homemade solution, cats and dogs are reported to hate the sound of a can filled with coins, so you can easily make your own homemade noise maker. You also can leave it sitting on the furniture as a reminder when you’re not home. Then, entice your pet with some furniture of their own. Create a little sanctuary that’s comfy, safe and cozy with a nice bed, blanket and some of their toys. Perhaps your cat or dog has started spraying or marking their territory on the legs of your couch or drapes. Not a habit that you want them to continually repeat, right? First, ensure that they feel safe so they don’t feel the need to mark their territory, especially if strange people or other pets are around. If that does not work, make sure the litter box is clean, but not too clean. Use a cat-friendly disinfectant so they feel comfortable and avoid disinfectants that contain phenols, which are toxic to cats, explains Blue Cross for Pets. The best way to break that habit once it has occurred is to keep the animal away from the area for as long as possible while you remove any residual smell. Consider replacing long drapes at places like The Shade Store that can customize shorter, more pet-friendly options. Also, placing dry food in the same area can prevent your pet from using it again for that purpose. If you’ve read this article too late, it might be time to part with that beloved armchair or rug due to soiling or scratches. Invest in pet-friendly options and train your pets on how to behave around the new items. For pieces that don’t smell, sell them at a yard sale or take it to your favorite charity or local Goodwill. Other options to consider are shelters, refugee centers and furniture banks. If you plan to claim a donation, first check the IRS database of qualified charitable organizations and Goodwill’s valuation guide. Remember when playing with your dog was a fun activity that you made you late for dinner? Just because you grew up doesn’t mean that you have to act old. Make time to play with your dog every day and experience the child-like joy that bonding with your dog through play will bring you. Play hide and seek with your dog’s favorite toys or small treats. This game may start with teaching your dog how to sit and stay. Start by having him sit and stay while you place a favorite toy (squeaky ones are a favorite in our house) where he can see it, but away from him (like across the room). Use your release word (ours is “OK”) and let him go fetch the toy, making sure to allow enough time to celebrate the reward of waiting patiently, by letting him dance around with his toy in his mouth. You can make this game more and more complicated, incrementally, by moving further and further away with the toy, around a corner, to another room, up a flight of stairs and eventually by hiding the toy in places where your dog could eventually find it. When hiding the toy, think about a child’s Easter egg hunt. Don’t make it too hard, you do want your dog to be successful, eventually! There aren’t too many games that are easier to play with your dog than fetch. There are tools and toys to help you (like the chuck-it or squeaky toys), but a simple stick will do also. There are many variations on keep away, if you have another person. With two people, you can simply toss a toy (or ball) back and forth to each other, letting your dog chase it in each direction. We’ve even gone as far as to use tennis rackets and a tennis ball for greater distance. Be sure to “accidentally” drop the ball once in a while, to keep your dog a part of the game. Create an agility training obstacle course in your home or yard. You can get very creative at home with simple props, like a hula hoop. Start by using a piece of kibble to coax your dog to walk through the hoop, as it rests on the floor. Once your dog is used to walking through the hoop on ground level, lift it off the ground one inch at time. Stack a few couch cushions and try to get your dog to jump over them. Obviously, if your loved one is a pug, use a throw pillow! Take time to enjoy the simple pleasures in life. Imagine what your co-workers will say when they ask you what you did last night and you respond, “I played with my dog”.